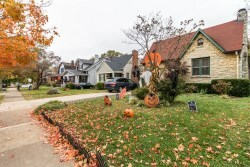 Fall is famous for its fabulous leaf color changes which changes the landscape of real estate Louisville. The yellows, oranges, and reds set the landscape on fire as leaves transition away from their Summer green. Interestingly what is happening inside the leaf is a chemical change. The green in the leaf is due to the chlorophyll which produces the leaves’ food from the Sun’s light. But as the days shorten the leaves stop producing food. 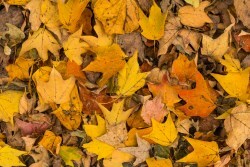 The chlorophyll begins to vanish exposing the colors produced by other chemicals which were previously masked by the green. 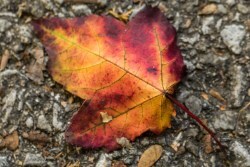 That is the process designed inside the leaf to express the magnificent beauty in forests of fall colors. Imagine having your very own forest to viewing this beautiful chemical change. 5010 Routt Rd has its very own wooded area thick with trees which you can view the fall changes from the back porch. This spacious multi-level home is large in every way. 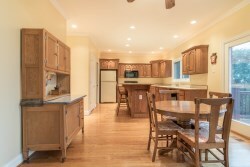 The first floor has a formal dining room, eat in kitchen, large pantry, and master with ensuite. The two story great room has a fireplace, built-in bookcase, and a wall of windows through which you can view the same forest. The second level has 3 good sized bedrooms and 1 full bath. 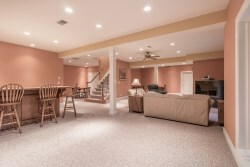 The mostly finished basement includes a great room, wet bar, formal dining area, full bath, and another versatile room. The basement opens onto the back yard which has ample open grass, the large wooded area mentioned above, and a 768 Sq Ft out-building. 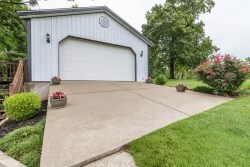 There is also an attached 3 car-garage with access into the kitchen. Please contact Scott or Christopher Boehnlein at Family Realty if you are interested or just need more information. Just last Friday I enjoyed telling you about a great new listing we had for real estate Louisville. Well 3605 Trail Creek Pl is no longer available because we got it under contract in 2 days with 5 offers made very quickly. 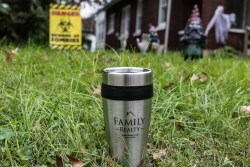 The temperature might be cooling down but Family Realty is not. This 4 bed, 4 bath, multi-story, 3,342 Sq. 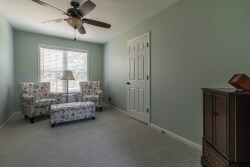 Ft. home was immaculately kept and tastefully designed and decorated. The first floor boasts a large open kitchen, kitchen nook, family room with a fireplace and built-in bookcases, a laundry room, half bath, and formal dining room. 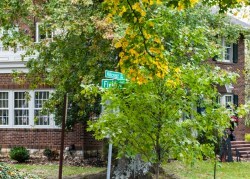 The second floor features 4 bedrooms and 2 full baths. 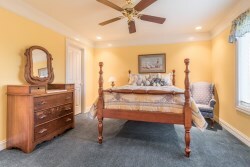 The master suite includes and ensuite bathroom, comfortable sitting area, and large walk in closet. The basement has a finished family room, half bath, bonus room, and an unfinished but neat storage area. 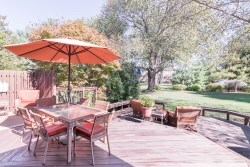 A fantastic deck extends off the back of this home into a well maintained yard. Although this home is under contract we have several other homes you might like. Please contact Scott Boehnlein of Family Realty whether you are looking to buy or sell a home. 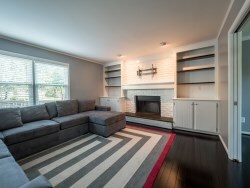 With all the home renovation shows so many people now have such great ideas for renovating and updating their homes in real estate Louisville. 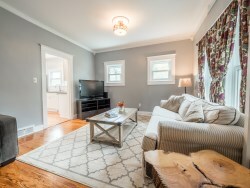 We are sure you would agree that 4022 Massie Ave is just such a stylishly updated home. This 3 bedroom, 2 bathroom, 1,672 Sq Ft bungalow is a multi-story home situated in the equally stylish and highly sought after St Matthews area. 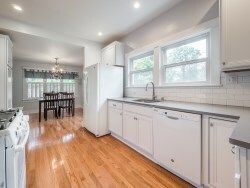 The trendy eat-in kitchen is brand new and features new cabinets, new appliances, a 5 burner gas stove, quartz countertops, and refinished solid hardwood floors. A first floor laundry is also a super feature. The wooden floors extend throughout the first floor giving great continuity to the rooms on this floor and adding a warm appeal to the living room. The first floor includes a bedroom and a full bath. 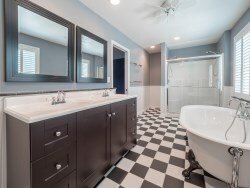 The full baths on both the first and second floors have also been tastefully updated. There is a new heat pump and new carpeting for second floor. 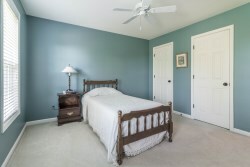 The master bedroom situated on the second floor is large and features a good sized walk in closet. Another bedroom completes the second floor. 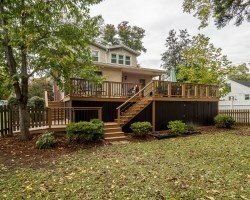 Another great feature of this home is the large deck that sits off the back of the house and overlooks the backyard. 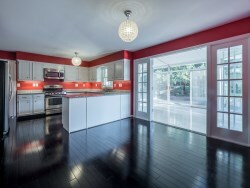 This super stylish bungalow is move in ready. If you are interested in this home please contact Jamie Klein or Scott Boehnlein of Family Realty. Hasn’t it been wonderful being able to sit outside and enjoy this lovely weather? Occasionally this week, in the midst of the “busy-ness” of real estate Louisville, I have taken a couple minutes to pause in the open air and take it all in. However, I would really like to pause for at least an hour on the back porch of our new listing, 3605 Trail Creek Pl. But before we get to the backyard let’s start by walking through the front door of this 4 bedroom, 4 bathroom, multi-story, 3,342 Sq. Ft. home. To your right is a formal dining room leading into the kitchen and to your left is a formal living room leading into the family room. 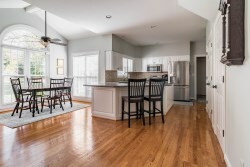 The family room, kitchen, and large kitchen nook form a great open plan layout. The family room has a fireplace and built-in bookcases, while the kitchen has stainless steel appliances and a large island. 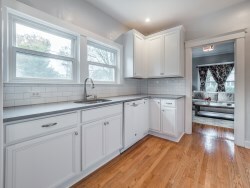 Behind the kitchen is the laundry room and the breakfast nook opens out to the back porch. A half bath and doorway to the 2 car garage completes the first floor. 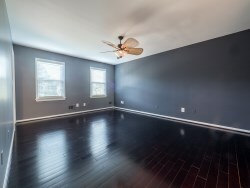 The second floor features 4 bedrooms and 2 full baths. The master suite is luxurious and large. The master with trey ceilings includes and ensuite bathroom containing a large bath with whirlpool tub, a separate shower, and a dual sink vanity. 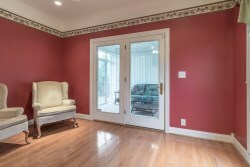 The master also features a comfortable sitting area and large walk in closet. The second floor is completed with 3 more good sized bedrooms and a full bathroom. 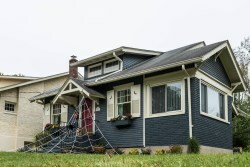 The basement and backyard are also significant features of this home. The basement has a finished family room, half bath, bonus room, and an unfinished but neat storage area. The backyard is beautiful and large. A dual level deck with built-in bench seating extends off the back of this home into a large yard and well maintained yard. Imagine sitting on this deck and enjoying this more than pleasant Fall weather. 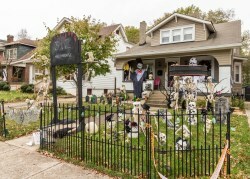 This is a great home in a super neighborhood. If you would like to see this home or simply have any questions please contact Scott Boehnlein of Family Realty. We would love to help you. We love selling real estate Louisville and we love selling our client’s homes quickly. It doesn’t get much quicker than selling a home in one day. This is what Jamie Klein was able to do with 1101 Windsong Way located in Windy Hills. This wonderful 3 bedroom 2.5 bath home sold at full price. This well-kept home has very desirable hardwood floors throughout the first floor, in the master bedroom and upstairs hallway. 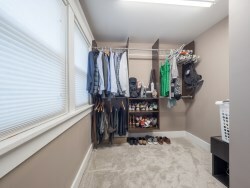 I don’t know anyone who wouldn’t want a spacious walk in closet. This master bed took this to the max by turning the previous 4th bedroom into the walk in closet. One of the great features of this home is the easy flow living space starting at the heart of the home with an eat-in kitchen and moving into both the family room and the sun room. 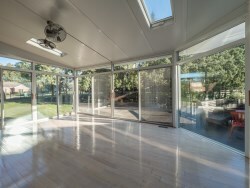 The sun room is crisp and clean and looks over the deck and fenced in backyard. 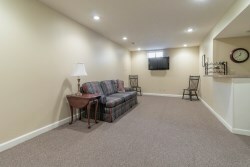 The basement features classic built in book cases, tiled floor and a large storage closet and laundry room. We would love to help you with selling your home or finding you a new home. Please contact Christopher or Scott Boehnlein or one of our agents here at Family Realty. 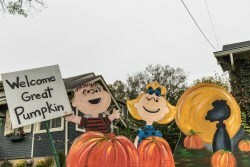 It’s Wednesday which means you’re already thinking about the weekend and possibly viewing some real estate Louisville! In planning out your activities you will want to know we have an Open House this Sunday from 2pm – 4pm for 5010 Routt Rd. This 4 bedroom 3.5 bathroom home is a perfect private piece of luxury real estate. The first floor of boasts a formal dining room, two story great room, eat in kitchen with breakfast bar, and large pantry. The great room has a fireplace, built-in bookcase, and a wall of windows. The master suite is also situated on the first floor and includes a sitting area and ensuite bathroom. Moving up to the second level of the home which overlooks the great room you’ll find three good sized bedrooms and one full bathroom. The mostly finished basement includes a great room, wet bar, formal dining area, full bath, and another room perfect for an office or another bedroom. 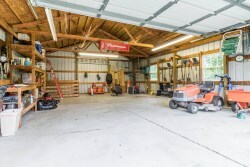 The walk out basement opens onto the back yard which has ample open grass, a large wooded area, and a 768 Sq Ft out-building that is a great work space and can hold yard equipment. This home also has an attached 3 car-garage which has access into the kitchen. We will be hosting an Open House here this Sunday 10/22/2017 from 2pm - 4pm. If you would like to see this home before then or have any other queries please contact Scott or Christopher Boehnlein at Family Realty. Country living, not much can beat that, especially in and around Louisville with our rolling hills, blue grass, and picturesque sunsets. Imagine coming home from work to a quiet walk in the woods, to 6.33 acres to explore with the kiddos, and 4,215 sq. ft. of home to relax in. 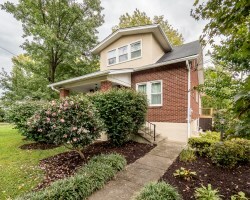 Well 5010 Routt Rd is just such a home in real estate Louisville. This magnificent 4 bedroom 3.5 bathroom home is luxury real estate Louisville at its best. The first thing you see looking at this home is the inviting front porch. One can imagine sitting out there sipping hot chocolate in the cool Fall months or lemonade in Spring and Summer. 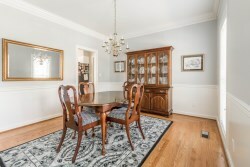 While the formal dining room, eat in kitchen with breakfast bar are more than worth mentioning. The 2-story great room with fireplace, built-in bookcase, and a wall of windows will immediately capture your attention as you walk through the front door. But just as you are having your breath taken away you’ll notice the amazing master suite also situated on the first floor. 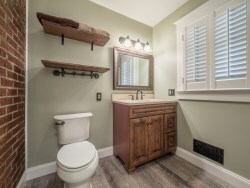 It includes a sitting area, Florida room, leading to the back porch, en-suite bathroom with his and hers vanity, a whirlpool tub, shower, toilet, and a walk-in closet. 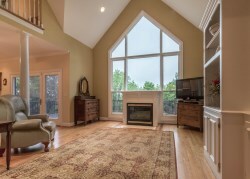 The second floor which overlooks the impressive great room has three good sized bedrooms and one full bathroom. The mostly finished basement includes a great room which walks out onto the backyard, a wet bar, formal dining area, full bath, and another room which could be an office or another bedroom. 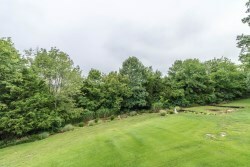 The lot has an open grassed yard, a large wooded area, and a 768 Sq. Ft. out-building that is a great work space able to hold lots of yard equipment. The home also has an attached 3 car-garage which leads into the kitchen. If you are interested or have any questions please contact Scott Boehnlein at Family Realty. 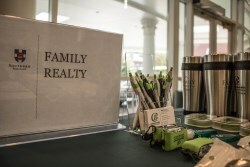 Family Realty had the pleasure of attending the Southern Baptist Theological Seminary Preview Day. Our goal was to meet prospective students relocating themselves and their families to Louisville and help them in any way we can. 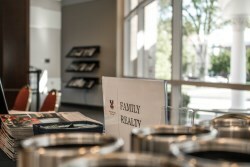 Knowing that relocating to a new city can be difficult we see the continual need for offering support to singles and families making this transition every semester. When you move to a new city it is hard to know who to trust, what areas are good for families, and what areas are good to invest in. You have lots of questions which we hope to provide answers too. Even if it is, "Where is a good dentist or doctor?" We are also aware many students move to the seminary expecting to be here for only a couple years so they rent. 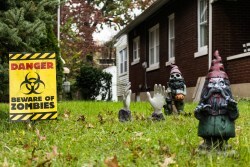 Or they choose to rent for convenience and uncertainty of the market or areas. However many go on to find they will be in Louisville for a longer than they initially thought and so there housing needs change. 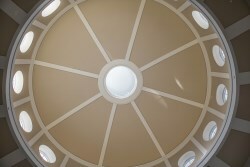 We hope to offer continual help, information, and peace of mind to prospective and current students. 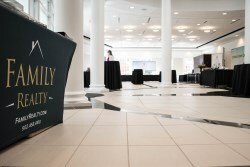 We had a great time at the SBTS Preview Day and were hosted with excellence. 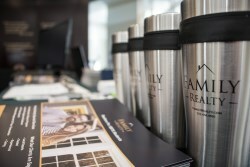 If you need any information or have any questions about Real Estate Louisville please contact Scott Boehnlein or one of our other agents at Family Realty. Your pet is a cherished member of the family. He spends his days lounging indoors, cuddles up on the sofa with you, and greets your visitors with gusto. But no matter how much you love your four-legged friend’s personality, prospective home buyers might not feel the same. Make sure your dog doesn’t hurt your home-selling efforts by following these helpful tips. As a dog owner, you may hardly notice the little signs of your pet’s presence. Whether it’s a little pet hair on the sofa, a toy left in a corner, or scratches on hardwood floors, these things become a fact of life when you have a dog. 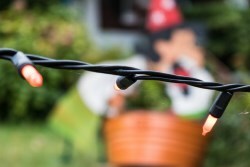 However, prospective buyers will likely notice the little details you overlook. And for people who associate indoor pets with uncleanliness, the sale may not recover. As you stage your home, pay special attention to pet-related damage, messes, and clutter. On top of repairing pet damage, you should clean pet waste out of the yard, remove pet hair from furniture, and stash all toys, food dishes, pet beds, and other signs of your pet’s presence before each showing. People who don’t own dogs always seem to know when a home contains one. Keep unpleasant pet odors from sabotaging your home sale by having rugs and furniture professionally cleaned and laundering your linens and curtains. If an odor is strong and enzyme cleaners won’t remove it, you may need to replace the soiled item entirely. When a showing is scheduled, make an extra effort to make your home smell fresh, but avoid relying on chemical air fresheners that could irritate sensitive individuals. Instead, opt for clean, simple scents like orange, jasmine, or cedar, and use them judiciously. Having a pet in the home makes showings more complicated. 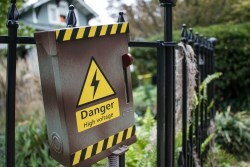 Since visitors want to see every part of your home, shutting the dog in a spare room or the backyard isn’t an option. If your dog is a barker, he could disrupt the showing. And no matter how well-behaved your dog is, letting him roam free simply isn’t an option. People could have allergies or be afraid of dogs, and people wandering in and out create opportunities for your pet to escape. Instead of compromising the sale of your home, make arrangements for your dog to be elsewhere during showings. 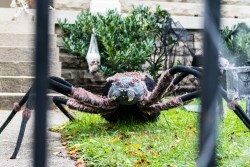 If it’s a quick viewing and you have the spare time, a long walk around the neighborhood could keep your pup out of the realtor’s hair for long enough. You can take the opportunity to check out local dog-friendly businesses like Molly Malones for a bite to eat, Iroquois Park or the Louisville Riverwalk to stretch your legs, or The Comfy Cow to grab a frozen treat for you and your pup. However, if you have a long day of house showings, sending your pooch to doggy daycare is a better choice. Keeping your dog out of the house on moving day isn’t just for the movers’ sake — although they’ll certainly appreciate not being barked at or tripping over a dog. Boarding your dog or hiring a pet sitter during the busiest part of the move also spares him the stress of seeing you pack up your home and ensures he isn’t let outside unsupervised. Another perk? When your professional movers can navigate your home freely, they’ll get the job done faster so you can enjoy a lower moving bill. You may put dog ownership squarely in the “pro” column, but not everyone sees it the same way. 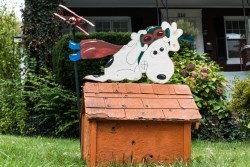 In fact, some people believe a dog’s very presence reduces a home’s value. Help buyers see your home’s true value by keeping your pet out of the picture during the selling process. Contributor Medina James of Dog Etiquette. Image via Unsplash. 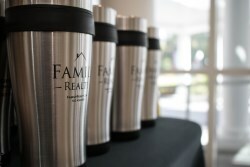 If you would like any help with your realty needs please contact us at Family Realty.